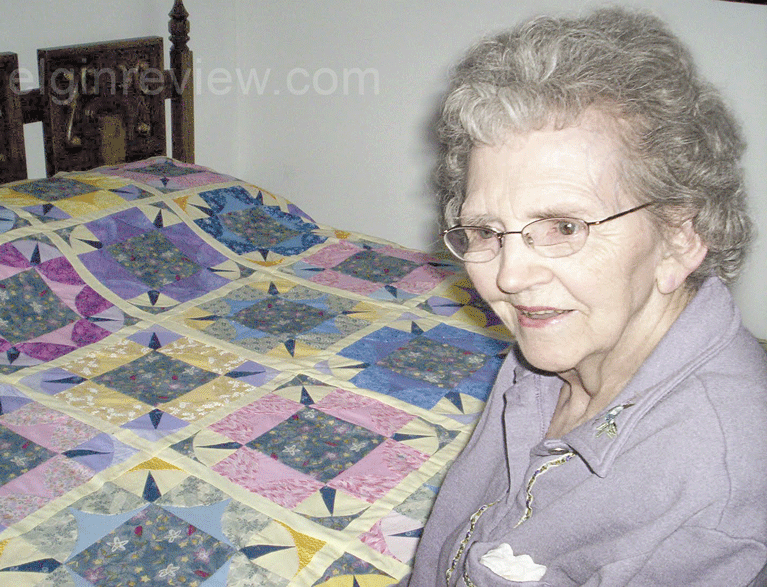 Dorothy Currie has proven – over the years – that she is a woman of many talents, including quilt making. In the midst of raising 4 children, participating in church activities, caring for chickens, gardening, canning, making clothes for the family (including a dress suit for her son), sewing drapes, doing embroidery and crewel work, and re-upholstering couches, she would save fabric and quilt in the evenings. All this kept her young and loving life! Born on April 30, 1921 Dorothy grew up in the Park Center area, west of Elgin. With her husband, Wayne, she raised her family on their farm just north of the First Congregational UCC country church, known locally as Park Center Church. They retired to Norfolk in 2007 where Dorothy continues to live in her Bel Air cottage. Dorothy’s quilts have all been hand-stitched. Dorothy’s interest in sewing began early in her life. In her elementary school years she taught herself to sew and quilt by watching her mother, Ella Kinney. When she first quilted, she used large frames. Later she switched to the smaller, lap frames. Instead of buying patterns she created them by making a pattern for each block from a photo or even sometimes a coloring book page. She would cut out the design on thin cardboard. Using these cardboard patterns she would then cut all of the cloth with scissors. It was only in later years that she used a cutting wheel. Other than using her sewing machine to attach an occasional strip or anchor an edging, the sewing on her quilts has all been done by hand, such as piecing the blocks, the quilting, and the appliqué. 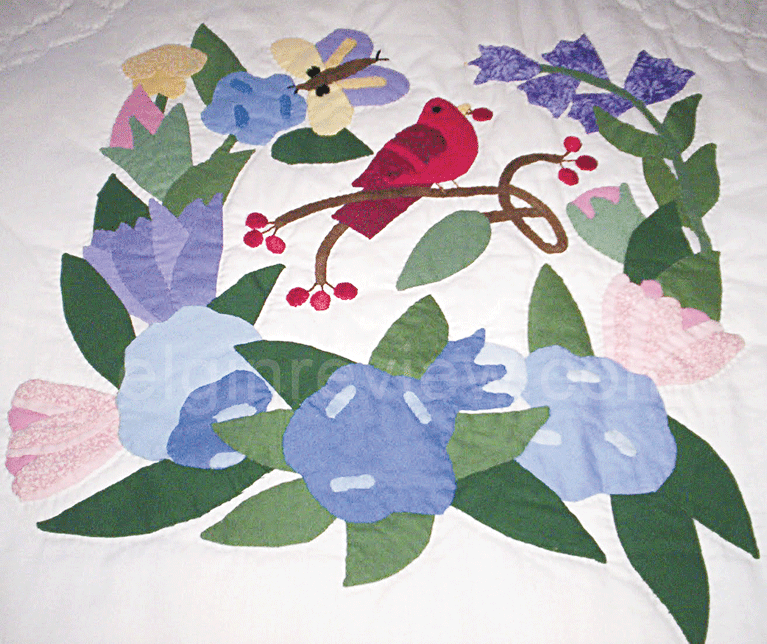 When asked what she enjoyed most in quilt making, she says her favorite challenge has been intricate appliqué. 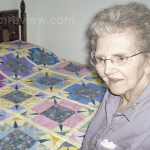 Dorothy has lost track of the number of quilts she has made, but she has hand-sewn quilts for each of her children, grandchildren, great grandchildren, other relatives and friends, organizations, and……..herself! Though the number of quilts made is not known, she did tally the yards of quilting thread used in a quilt made for a granddaughter – 489 yards. Dorothy is now 97 years young and continues to do some sewing of smaller items such as table runners and hand sewing a block for a Norfolk UCC church quilt. The last quilt she made was finished in 2017. 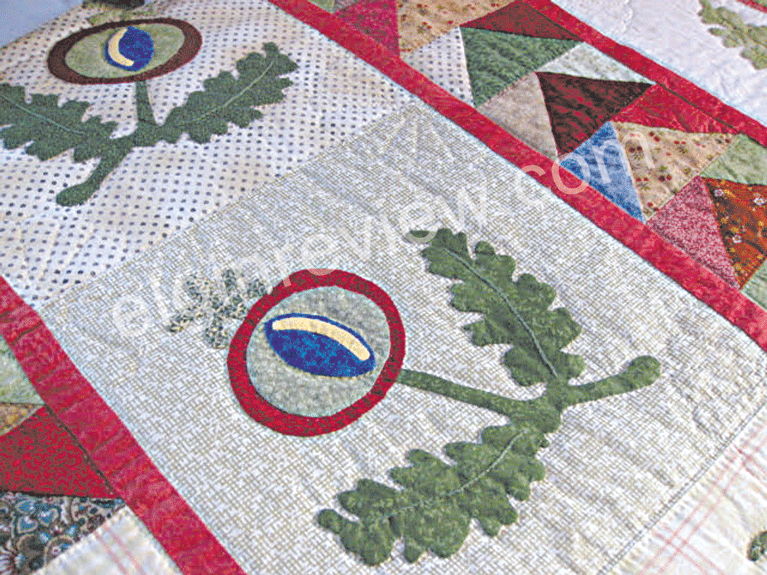 One can be sure that family members, friends and other recipients of her quilts treasure them and feel and see the love that was put in every single stitch of these heirlooms.